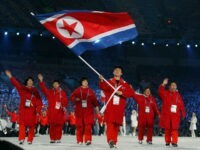 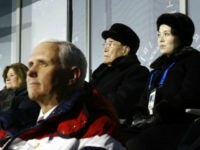 North Korea may have sent an official delegation of athletes, Kim Jong-un’s sister, and a large group of identically dressed female “cheerleaders” to the 2018 Winter Olympics in South Korea, but an ordinary citizen of the communist country has yet to have access to any coverage of the events. 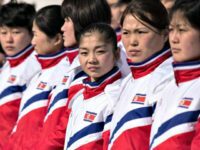 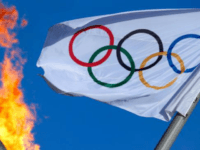 Iran and North Korea’s athletes were initially denied free cell phones at 2018 Olympics in South Korea because of sanctions in place against those countries. 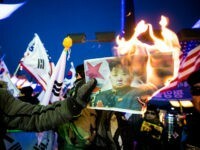 Just hours ahead of the 2018 PyeongChang Winter Olympics Opening Ceremony on Friday, South Korean protesters scuffled with police as they burned North Korea flags and images of dictator Kim Jong-un.